The Elbow Chair is a simple half industrial design that Wegner originally drew for Fritz Hansen who never produced it. 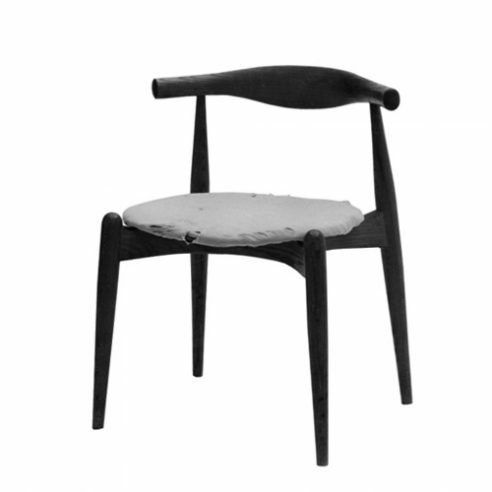 Similar to Wegner’s earlier Heart Chair the CH20 has a solid wooden top rail machined from a single piece of timber. The simple construction contain the chairs proportions within the footprint of the seat. It is a strong practical chair that is stackable. design by her father, a little stacking chair designed but never produced by Fritz Hansen, for a large project we were working on with Getama in Central London.